I’ve always had tons of energy, even as a child. Any kind of sports would do, I didn’t care as long as I was moving. When I hit the teenage years, I joined the gym and started working out. For a while, it was fine, I spent some of my boundless energy, however, admittedly, I got bored quite quickly. Perhaps running around in the woods, followed by a snappy game of football with my friends and a subsequent dip in the pool had suited me better. But I was a teenager now and teenagers don’t run around like fools. I returned to the gym, often several times a week. Within the first month, I had increased my fitness considerably, but then, I hit the wall. Workout routines just didn’t do it for me anymore. They didn’t challenge me anymore, I hardly ever got tired and I knew deep down that I wasn’t getting any fitter. Frustration set in, I wanted more. Talking to people at my gym, someone mentioned CrossFit. I had never heard of it before but decided to investigate. 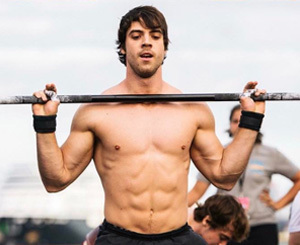 I went home and googled CrossFit and knew instantly, that all my prayers had been answered, at last! Everything described inspired me and I instantly looked for the phone number of the CrossFit instructor located closest to me and phoned him. Life hasn’t been the same since, so let me tell you, just why CrossFit is so awesome. That’s pretty much it in a nutshell, so let me just continue by outline what CrossFit will do for you. Relentlessness: Gone are the days when you have a little chat between the different workouts at the gym. CrossFit routines don’t include anything but total intensity and commitment. No breaks, no let-up, no boredom. 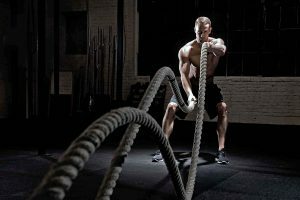 This type of high-intensity makes for an incredibly exhilarating, physically and mentally challenging workout and removes all of the monotony of conventional workouts. Effort and Emotion: You give it your all – and more! There is nothing half-hearted about CrossFit, everyone invests 100% of energy, substance and emotion. All participants find themselves fully immersed, fully challenged and utterly tested. Tough targets and mutual encouragement among participants optimize your performance and get you to work harder each time. Efficiency: Your CrossFit instructor will get you to mixed up different types of high-intensity disciplines within a relatively short space of time, like 30 minutes. Rather than spending a full hour on the treadmill, you will pack everything you’ve got into half that amount of time. The results achieved far outdo those resulting from conventional exercise routines. Varied WODs (Workouts of the Day): This is one my favorite CrossFit characteristics as you engage in a wide variety of exercise type within a short space of time. Beloved CrossFit Community – CrossFit Boxes: A CrossFit Box is a gym where CrossFit enthusiasts gather and exercise side-by-side. Participants compete against themselves while being encouraged and pushed by others. Even people who are less than fit will find themselves reaching beyond their own limits. The camaraderie is incredible. CrossFit has changed my life. I have found a way to push my own physical, mental and emotional boundaries and grow in every direction. The intensity and emotion have given my life a new depth of meaning. The sense of togetherness and joint spirit among all CrossFit fans has endlessly enriched my life. I would urge anyone to try it, even just once. Undoubtedly, within the first or second spurt, you too will be hooked. There are over 13’000 CrossFit boxes worldwide and there is bound to be one near you. Inquire, google it or get in touch with me and soon you will be attending your first CrossFit session and start changing your life.